In March of 2014 the homeowner of a Peru, Nebraska residence asked PRISM for help. She told us that both her and her husband had been experiencing paranormal activity for the one and a half years they had resided there. 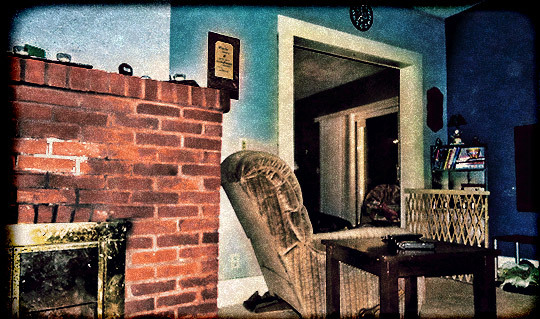 Various activity included being awaken in the middle of the night by what sounded like a cinder block being thrown through their sliding glass door, followed by a very loud thud, but when they went to check on what had happened, they found nothing out of place and no broken glass. The wife also reported seeing what looked like a small child on her son's riding toy that quickly disappeared after attempting to take a closer look. Their breaking point came when their 2-year old son became very frightened by something she could not see. On Friday, March 28th, 2014, the PRISM team conducted a full investigation at the property. Video from our 2014 paranormal investigation of the Peru, Nebraska residence.